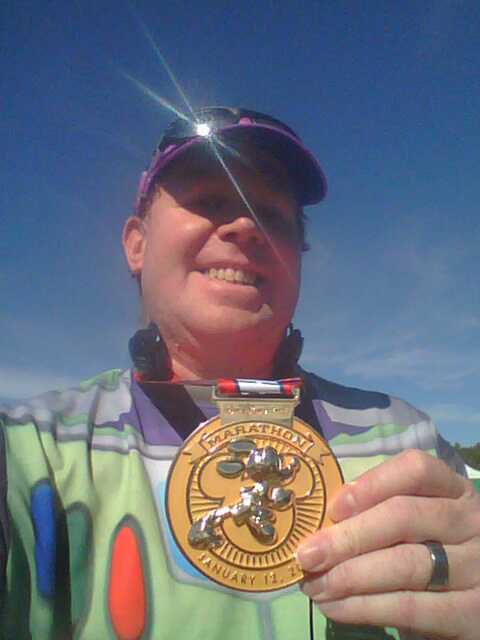 So, back in 2013, after finishing my first half marathon, I decided it would be a great idea to sign up for the 2014 Walt Disney World Marathon. Brooke and I were just starting our wait for domestic infant adoption. I knew it would could take at least a year and a half for us to be placed with a child. 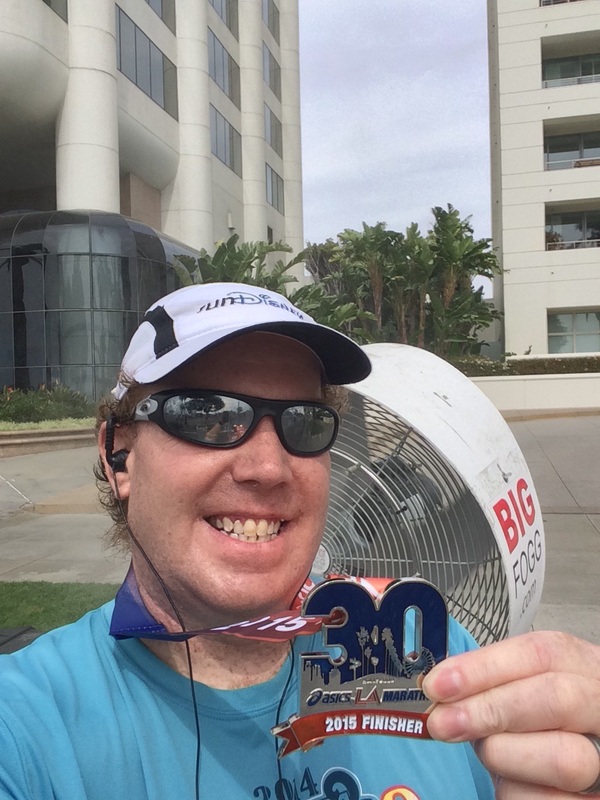 So, training for a full marathon seemed like a great distraction….and it was. I did not know back then that I’d actually like my first full marathon experience. It seemed unreal that I actually finished. I mean, I had the finishers medal and all the pictures. However, it seemed like I didn’t. So, I signed up for the Los Angeles Marathon in 2015 and then, the Chicago Marathon in 2015. Both of those were much more difficult. Part of that was very inconsistent training. Part it was trying to run the hottest Los Angeles Marathon to date. 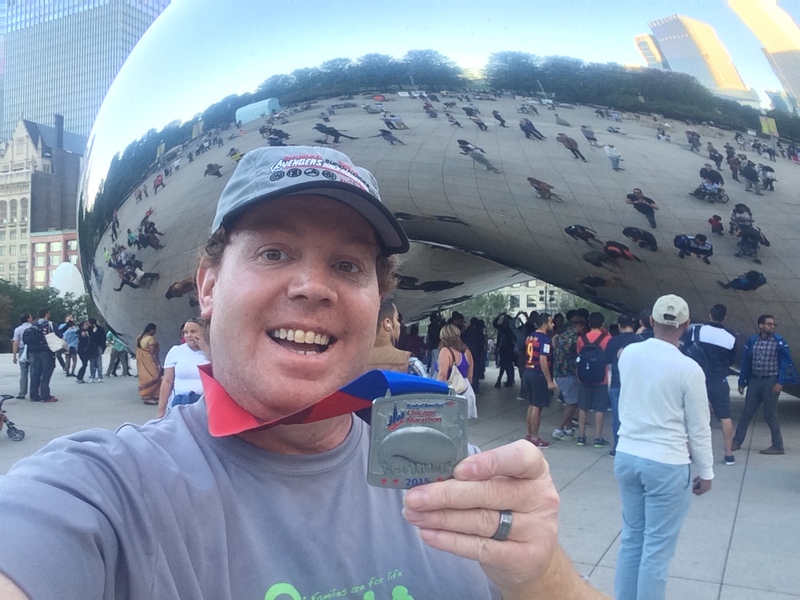 When I ran the Bank of America Chicago Marathon, I did so as a charity runner. I was running for 2 adoption agencies. It was awesome to be raising money to help these agencies out. However, it was also a reminder that I was still waiting to become a daddy. So, my training was an emotional roller coaster. I finished the race. But, blisters on both feet in mile 22 killed my PR attempts. So, here I am. 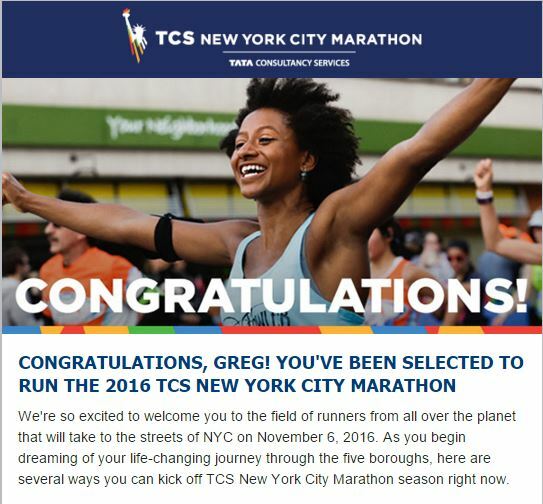 Earlier this year, I was one of the lucky few who was selected to run in the 2016 TCS New York City Marathon! It’s still kind of hard to believe that I got in. Once we got the news that Brooke and I were going to be parents, life changed forever…in an amazing way! Part of that change was re-evaluating my race calendar and goals. I have decided to save the money I’d spend on a hotel and food in San Diego at the 2015 Suja Rock n Roll San Diego Half Marathon. So, I will be skipping that race. I also opted to skip running the 2015 Avengers Half Marathon Weekend. However, I will still be running the 2015 Disneyland 5K and Disneyland 10K since I had already paid for that and I can drive to those races the day of the race…no hotel required. That left the New York City Marathon. Since this is a once in a lifetime kind of deal, I’m working hard to make this trip still happen. Last week, I think I found a way to make it work financially. Although, it will be a different trip than what I envisioned when I first put my name into the lottery. My wife and son will not be with me in the NYC and my trip will be much shorter. I’ll be more financially responsible. However, I think I can make it happen. So, last weekend, I sat down to look at training for this race. As luck would have it, the training for this race begins this week! 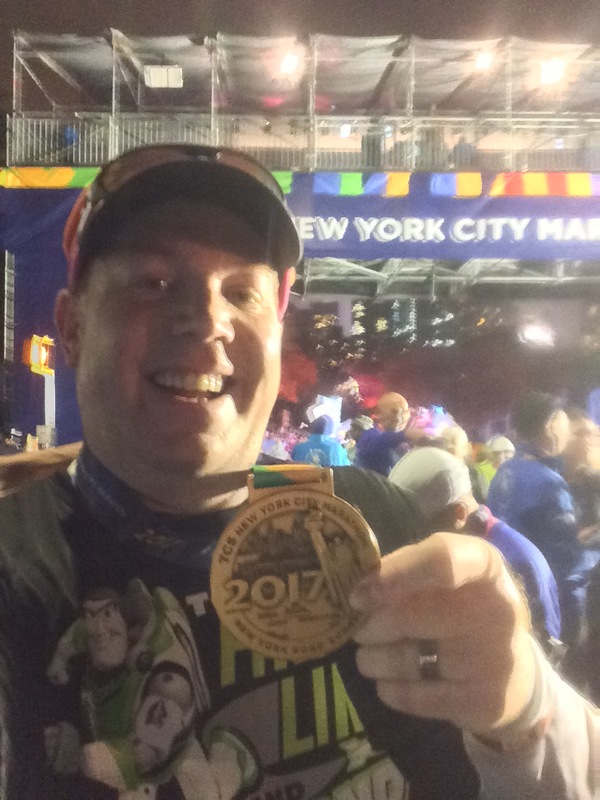 I’m using the regular Jeff Galloway plan for training for the Walt Disney World Marathon as my blueprint. 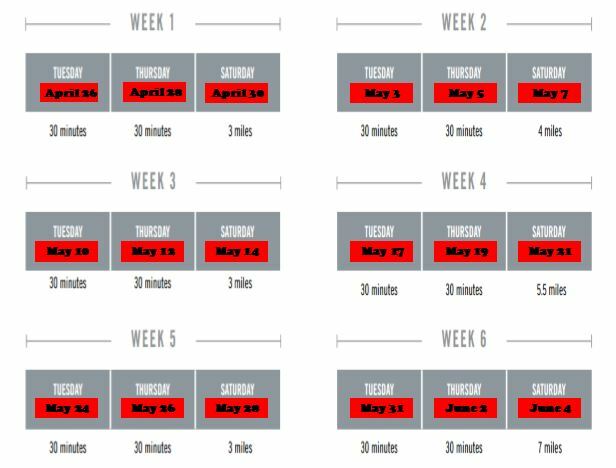 with only the Disneyland 5K and Disneyland 10K races on the calendar between now and then, I’m planning on focusing on being consistent with the plan. I’m glad that I’m getting into the plan Week 1. The miles are low as I try to figure out training as a new dad. It is my hope that by the time the big miles come up, I will have adjusted. Part of the challenge is to believe that I can run a full marathon as a dad of a newborn. 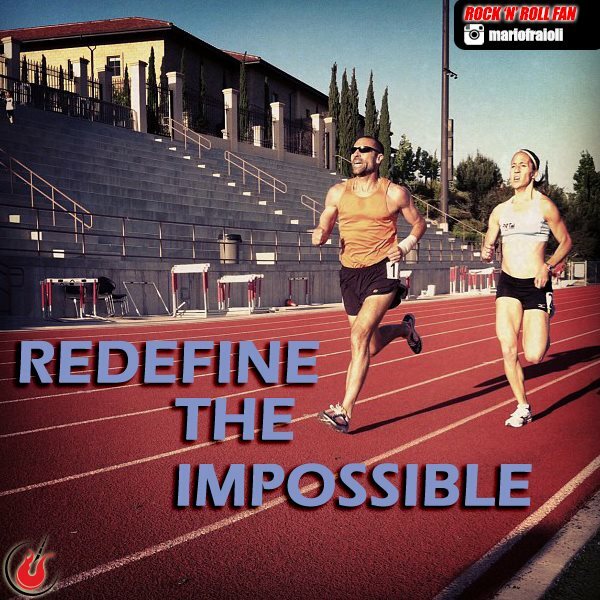 It’s time to redefine the impossible! Congratulations on the adoption! way cooler then running. Looking forward in watching your training. Thanks! It’s going to be quite a journey! Good luck with your training. Work hard…. you can do this!!! i love the galloway plan so much for marathons-I have used it for every single marathon I have done. I signed up for Goofy and will start to hit high mileage in the summer which sure was a doozy last year-hopefully it wont be as hot!